For those on the West Coast, 4,000-foot peaks might not even be worth blinking at. Not so, in the East. With our cities, and even most of our trailheads, sitting at less than 1,000 feet above sea level, it’s the comparatively small 4- and 5,000 footers that tower above. But even if these ancient, weathered peaks may be somewhat modest in size compared to the behemoths of the West, it certainly doesn’t make them any less spectacular. 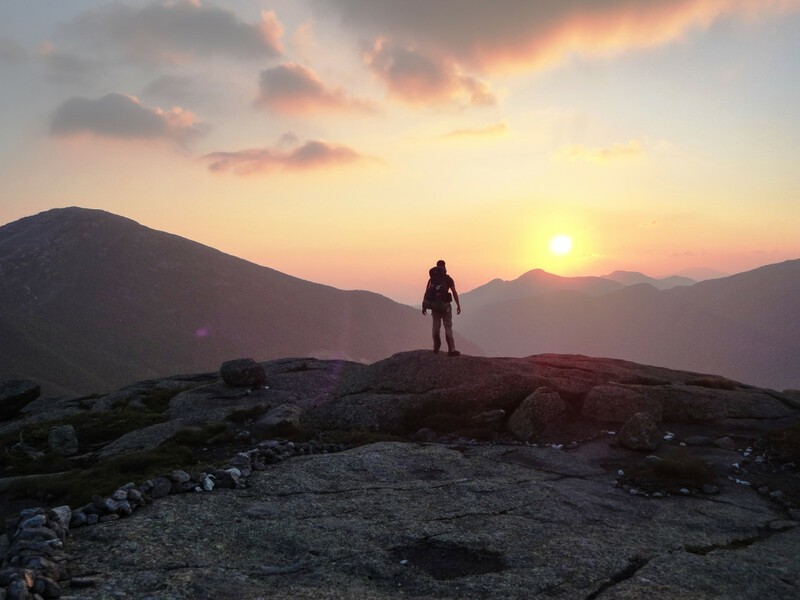 Upstate New York’s Adirondacks are home to 46 (give or take) “High Peaks” that make up a cherished and historic list defined by a magical line at 4,000 feet. What these rugged summits lack in elevation, they more than make up for in vertical gain (matching if not exceeding many of their western day hike counterparts), trail toughness, and downright beauty as they tower over some of the densest and most stunning backcountry on the continent. 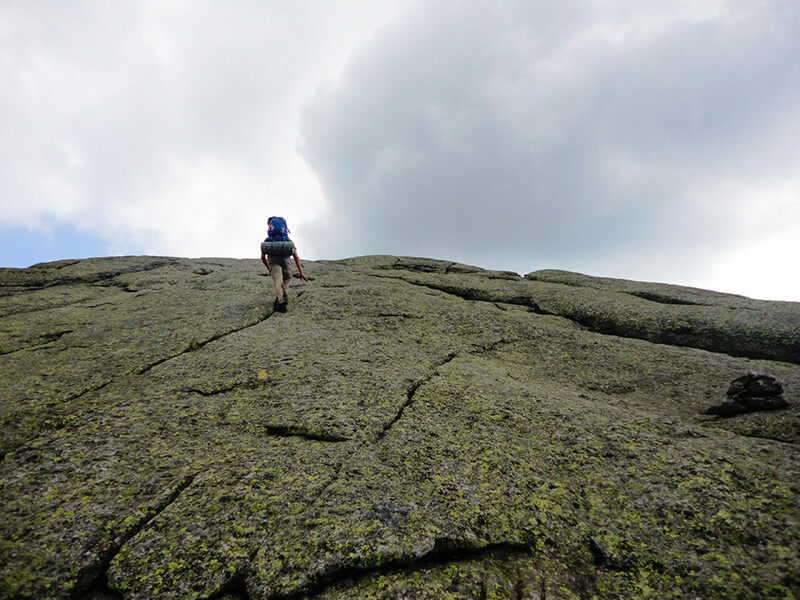 From rocky alpine summits to trail-less bushwhacks, here are the 10 all-around best 46ers in the Adirondacks. There’s no need to wait for the summit to enjoy the views on this hike. Within the first few miles, hikers pass a number of spots worthy of day hiking to on their own. The clearing where Marcy Dam once stood leaves visitors staring up toward Colden and Wright Peaks. Then, only a little further, the steep, narrow cut between Colden and the MacIntyre Range swallows the trail entirely. Avalanche Pass is a highlight to rival canyons and gorges everywhere. Continue up and down the ladders and boardwalks that negotiate the rocks between Avalanche Lake and the cliffs. Then, venture along the “hitch-up-matildas,” which are walkways bolted right to the rocks where it drops straight into the water. 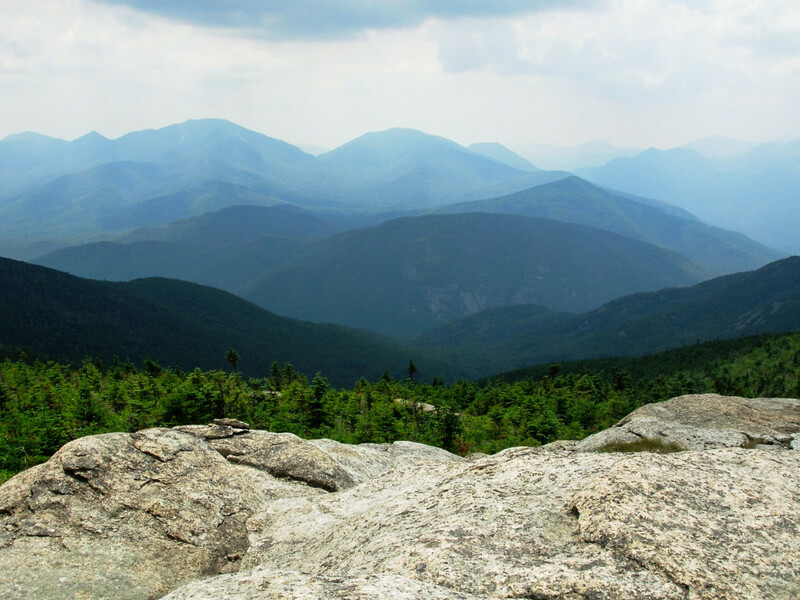 From picturesque Lake Colden, the trail cuts back and up toward Colden itself where you’ll be able to take in arguably the best views of any high peak. Colden’s bare summit sits right in the center of the most exciting part of the ‘Daks and offers unencumbered views of rocky summits in every direction. The Great Range snakes through the peaks from Route 73 like an arrow shot toward Mount Marcy’s summit. Between peaks on the range, trails drop, seemingly forever, making following the chain a grueling experience, while on either side of the line, the mountains drop from summit to valley in cascades of steep rock. Gothics, in the center of the range, offers spectacular views of the surrounding peaks and valleys from its panoramic summit. The valley forming the south side of the range has a dirt road (not open to vehicles) giving access to that side of the range and allowing for easy cruising. From halfway up the road, the Beaver Meadows Falls Trail toward Gothics cuts up into the range, quickly passing its namesake waterfall (perfect for cooling your feet on the way down) before winding higher up to the slides, and eventually the summit of Gothics become visible. 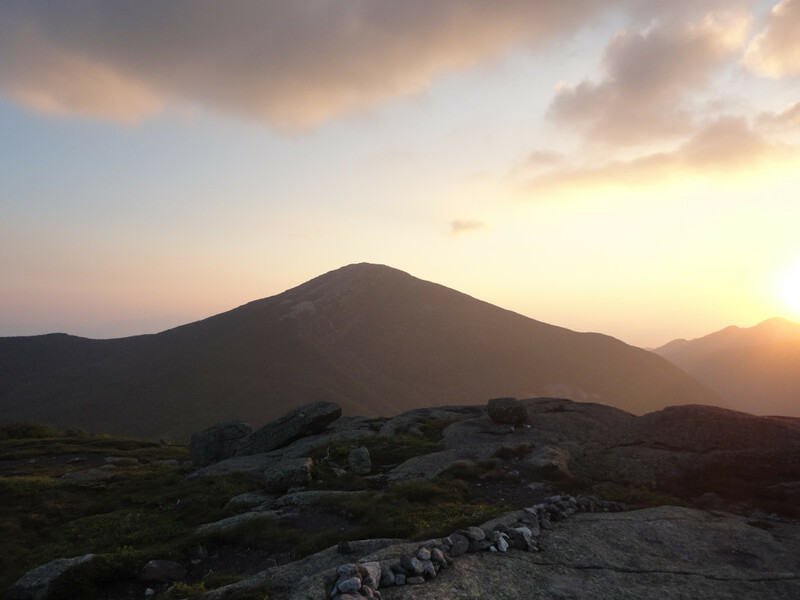 There’s something about the highest—especially when its original name, Tahawus, translates to something as intimidating and cool as “Cloud Splitter.” Mount Marcy is an instant classic for a lot of reasons, including its height. But its also the long, gradual approach, long and steep summit, and commanding views that put it at the top of a lot of people’s list of favorites. 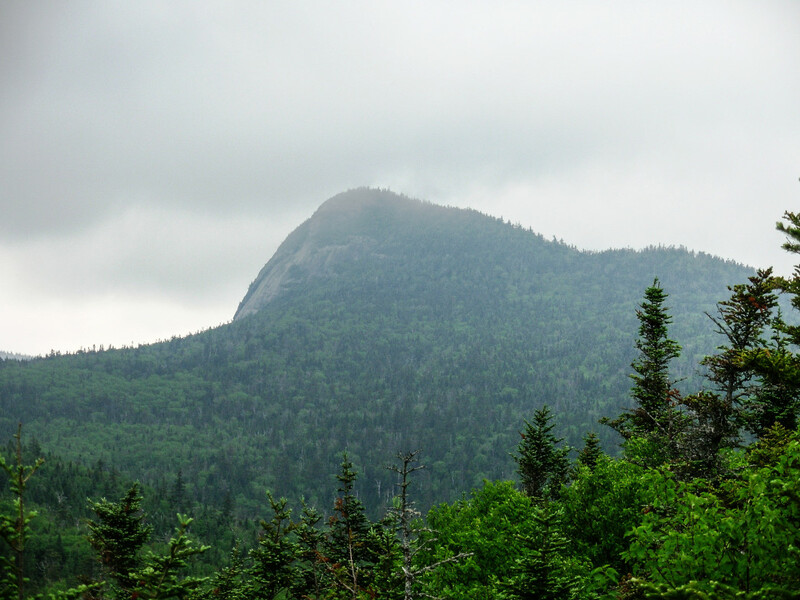 Relatively less-visited, the south side of Mount Marcy is nearly as deep as a hiker or backpacker can get in the High Peaks. The makings of a very long single day, Skylight is often approached as an overnight from one of multiple different directions. An intersection known as the Four Corners sits between Marcy and Skylight, but is also adjacent to Lake Tear of the Clouds, the highest lake in the state and the source of what eventually becomes the mighty Hudson River. 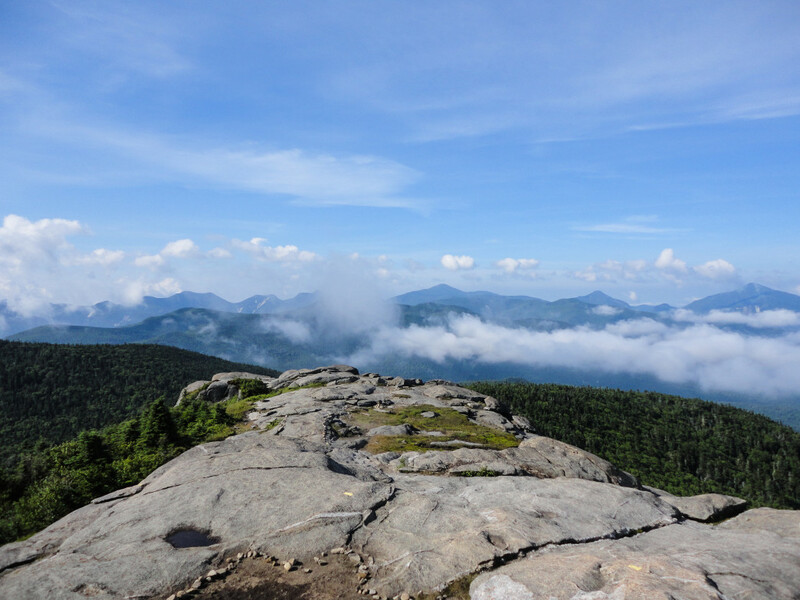 From the Four Corners, a quick jaunt leads onto Skylight’s bare summit which offers a unique, southern vantage of the rest of the mountains on one side—dominated by Marcy’s massive summit cone—and the relatively tame southern Adirondacks in the opposite direction. A great introduction to the High Peaks, the loop over Big Slide makes for a fun day, not short on things to look at. Starting nearly from the trailhead, the route climbs a series of three smaller summits known as The Brothers, before leading to the main summit, offering continuous views that get progressively better with elevation. The summit itself is a great vantage of the Great Range, laid out left to right across the horizon with Gothics’ scarred face dead center. 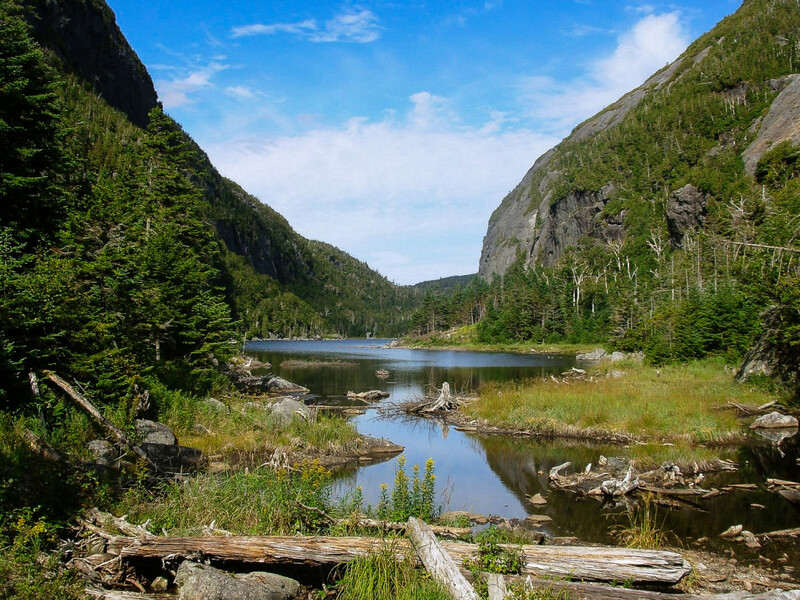 Continuing the loop down the mountain to Johns Brook, the route finishes with a hike out through the valley that flanks the northern side of the Great Range. If you can find it along the brook, Tenderfoot Pools’ swirling eddies and rocks are the perfect place to cool down before the trailhead. Close enough to the road to make it the only high peak summit you can plainly see from its trailhead, Cascade is another favorite for first-timers. Its quick access and spectacular views also make it a popular choice for those interested in getting an early start and being on its broad, rocky summit for sunrise! If you’re ready for an adventure, there’s nothing quite like a climb up one of the characteristic gray scars marking the side of many High Peaks. Formed by landslides that scrape away soil and vegetation down to bedrock, slide climbing isn’t for the faint of heart but does give hikers a more remote and rugged experience than they might normally get. 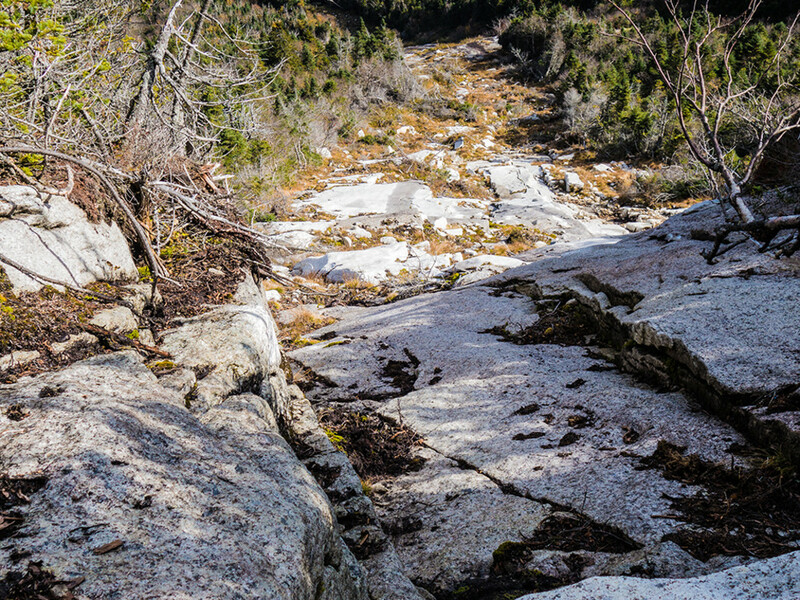 Dix Mountain’s Beckhorn Slide clears a rock and grass highway from the base to nearly the summit, but just to get to the base, it requires a long hike through the mountain’s secluded east side, then a bushwhack up a drainage. Once on the slide, which isn’t for the faint of heart or those uncomfortable with exposure, it’s as simple as picking the best looking line to the small summit. Although longer than the stair climb up to the saddle between it and Giant Mountain, the trail from New Russia is one that many would consider to be one of the finest in the region. The continuous views up to the panoramic summit of Rocky Peak are seriously hard to beat—even by its taller neighbor, Giant. For the vast majority of people, a 20-mile day up a single steep mountain with lackluster views would not be a pleasurable experience. Granted, Allen is more about the hike than the mountain itself, but it’s a hike worth doing for those up to the challenge. A long day of tracing old, winding logging roads over gently rolling terrain and along crystal clear gurgling brooks makes Allen a memorable one. 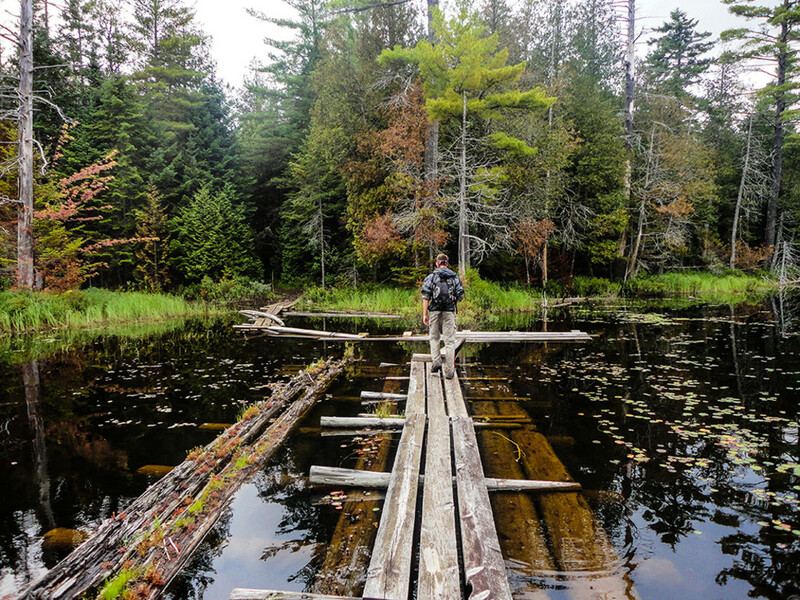 The second half of the route is one of the ‘Daks' famous “trail-less” routes, meaning the trail is not marked or maintained by the state like most other routes. Although not impossible to follow, trails like these require a keen eye and better attention than you might be able to use on other hikes. 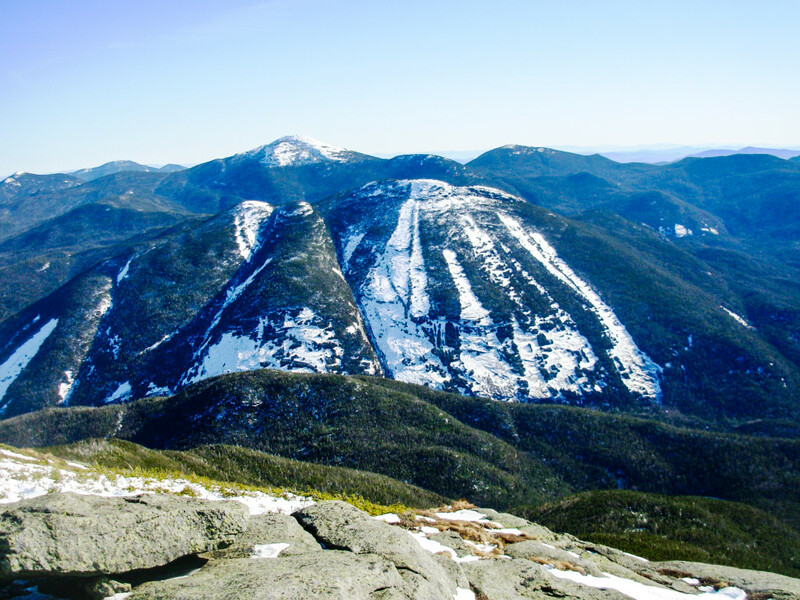 The climb from the Adirondak Loj to the summit of Algonquion, the state’s second tallest peak, is a quick jolt into one of the highest of New York’s alpine regions. Only a hundred feet lower than Marcy, hikers heading up to Algonquin climb nearly the same amount in nearly half the mileage. 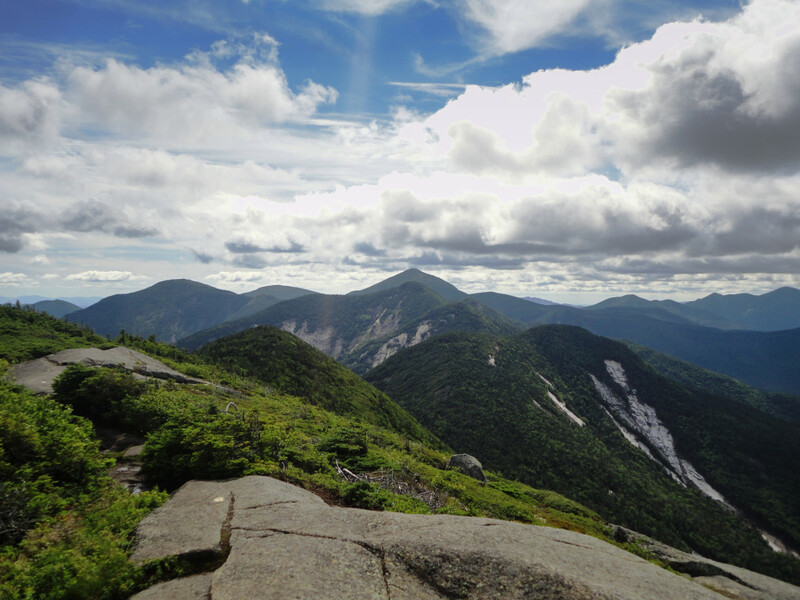 The views from the bare summit cone are impressive enough to make it worth it, tracing a straight line to Colden then Marcy, shrouded in the Great Range and numerous other summits.